Boom!! 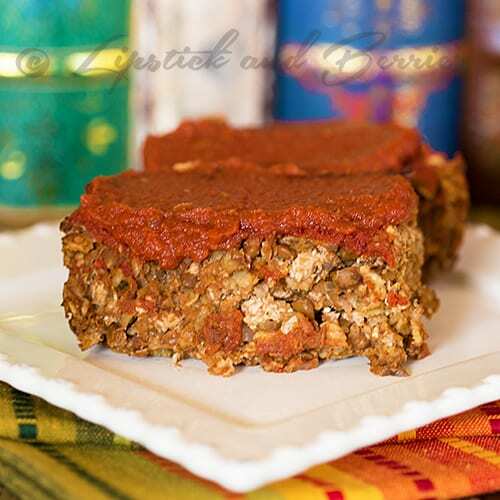 This meatless meatloaf is CRAZY DELISH!! What is even better is that this meatloaf is free of “fake meat” products, making it 100% whole food based, low fat, and nutritious! I have seen many plant based meat loafs that are loaded with that isolated soy protein, and packed with fat. I wanted to make a nostalgic meatloaf recipe that has all the same comfort qualities without the negative health affects. I used tempeh (which is the least processed type of soy product) and lentils to add bulk to the loaf. Lentils are one of the worlds healthiest foods, and they are packed with fiber!! A diet high in fiber is essential for a healthy digestive system. Lentils are high in soluble fiber, making them a slow burning carbohydrate that will give you long lasting energy and stabilize blood sugar levels. This meatloaf goes great with my homemade healthy ketchup!! Which is free of high fructose corn syrup, preservatives, and natural flavoring, its literally the healthiest ketchup ever and tastes great too. Heat pan with vegetable stock over medium-high heat. Sauté onion, carrot, garlic, and celery until vegetables are soft and fragrant. Set aside. Add remaining ingredients and sautéed vegetables to pureed crumbled Tempeh, mix well, and season with salt and pepper. Place mixture into non-stick loaf pan, top with homemade ketchup. Also reserve some homemade ketchup to serve with meatloaf later!